There has never been a better time to be in the market for an adjustable bench. 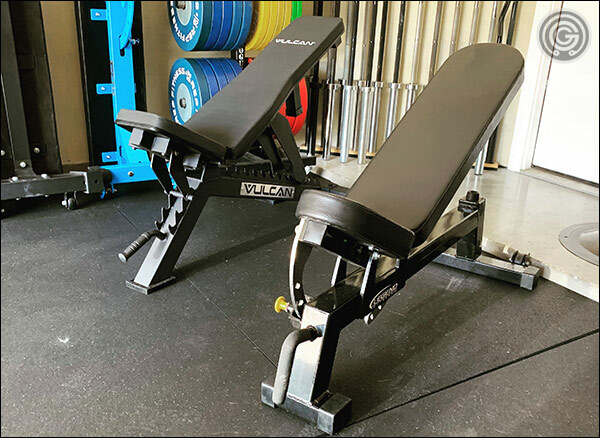 For the first time ever we, as small gym owners, actually have multiple options when it comes to finding an affordable, durable, feature-heavy adjustable bench. No longer are we forced to choose between the cheap budget benches from the chain stores and the commercial benches that cost too much. Matter of fact, we have just enough in the way of bench options right now to make the process of choosing a little daunting; which I suppose is a much better problem to have than no good, affordable options at all! 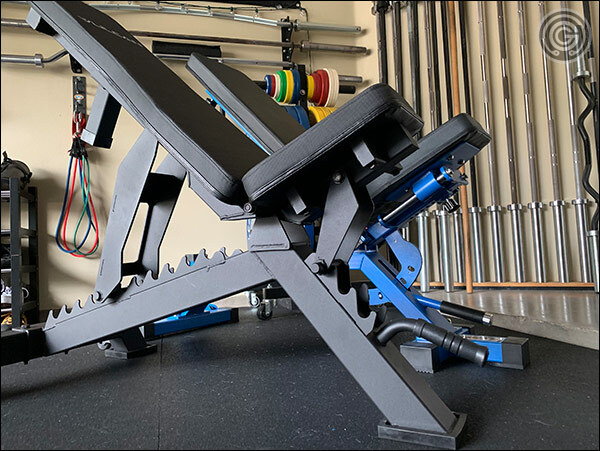 Now I hate to make the process of choosing your new incline bench any more complicated than it already is but I do have to add another bench to the list of considerations; the Vulcan Prime Adjustable Bench. The Vulcan Prime is a commercial-grade, flat-to-incline bench that has a lot of nice features for what I can only call I super reasonable price, and while I’m well aware that everyone is up in arms over the AB-5000 at the moment, that fact doesn’t make the Vulcan Prime any less of a contender in the current bench market. Of course, I do feel the need to preface this entire review with the fact that I do not think the Prime and the AB-5000 are really designed for the same lifters. I see the AB-5000 more as a home/garage gym bench because of its flat/incline/decline versatility. It is meant to be the sole bench in a small gym; a jack of all trades as they say. The Prime, on the other hand, is really geared for the commercial, collegiate, and military market, and those who will always prefer to have both a premium flat bench and separate incline bench; not a combo bench. In any case, I’ll get more into all that later in the review. Suffice it to say for now that I do not believe the Rep AB-5000 has killed the remainder of the adjustable bench market. 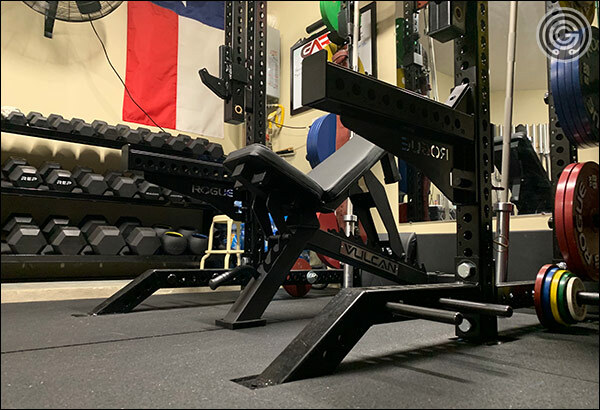 It’s done a great job of eviscerating the appeal of commercial benches like the AB-3 and all the other $800+ benches from the likes of Legend, Sorinex, Precor, EliteFTS and so on, but there are still a few high-quality, affordable benches that will still have their place. The Prime is one of those benches. Anyway let’s get started with the review. Below are the product specifications for the Prime Adjustable Bench along with some other miscellaneous measurements. The frame of the Vulcan Prime Adjustable Bench is constructed with heavy-duty, 3″ x 3″, 11-gauge steel. Some components are even thicker than 11-gauge; the large adjustment piece being 3-gauge, for instance, and the ladder itself being 7-gauge. This isn’t a light-duty, box-store quality bench by any means. 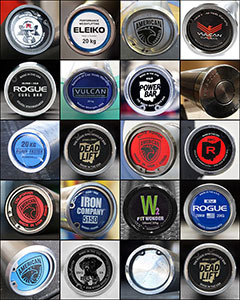 The Prime is heavy, it’s strong, and it can handle a ton of weight. The pads are also well supported. They are resting on some rather massive pieces of steel tubing rather than just a couple of welded on pieces of metal like, well, most benches. You’ll never feel the pad of the Vulcan Prime flexing or bending because there isn’t ample support underneath. As far as the aesthetics go, the entire frame is coated in a black powder coating, and the hardware used is finished in black zinc. Yeah, the entire bench is black save for the Vulcan branding. Fine by me! Pretty cool looking bench actually. The Vulcan Prime uses a ladder for adjusting both the back pad and the seat. While ladder systems are often times poorly executed using cheap, lighter-weight steel, ladders can also be done well using thick, heavy-gauge steels. In the case of the Vulcan Prime the ladder is incredibly strong; constructed of both 3-gauge and 7-gauge steel and featuring a locking pin that’s a full 20 mm in diameter. Again, this bench can support a ton of weight. As you probably already know, ladder benches are super easy to use. Making adjustments to the pad’s position requires nothing more than lifting the pad until you achieve the desired angle/position, then letting the pad go. The large pin of the adjustment piece rests in hooks on the frame; the weight of the assembly (gravity) holding the pad in position. There are no pop pins or knobs to fiddle with. There are no less than 12 positions available for the back pad; ranging from 0º to 90º. This is a ton of positions; way more than is typical and more than most people will ever use. Why do you need so many positions then? Why can’t you just buy a bench with four or five back pad angles? Well you can, of course, but the beauty of a dozen positions that are less than 10º apart means that you are more likely to be able to position that pad exactly where you want it rather than just close to where you want it. It just allows for better fine-tuning of the pad’s position. In terms of the seat there are three positions; flat, ~15º, and ~35º. Normally I would like to see more seat positions but the two non-flat positions that are available are in a really good place. The 15º position is ideal for a high back pad (military/shoulder pressing) and the 35º position is great for incline bench/dumbbell pressing. Many adjustable benches have really low seat positions; less than 30º at their highest. These lower-angle seats always make me feel as though I’m going to slide out of the seat so I’m happy to see the higher setting being in the 30’s rather than the 20’s. Ladder benches do have a minor drawback though, and that is that you can’t pick up these benches by their pads to move them around since everything is held in position with gravity. Lifting the pad just results in the pad coming up. 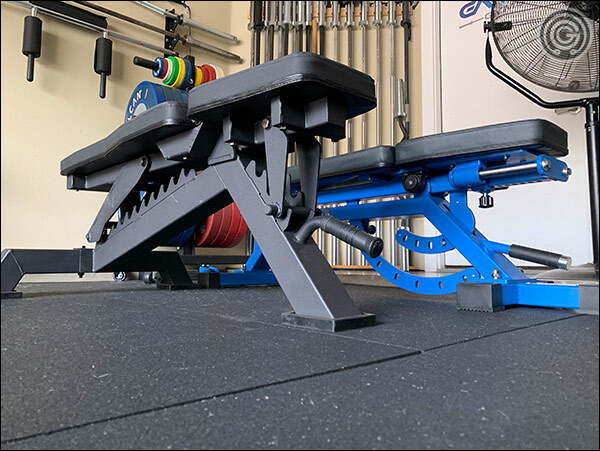 Even adjusting the bench’s position in your rack (centering, that is) requires a little more work because your natural inclination to lift the bench up slightly and slide it around doesn’t work well either. At the end of the day, the ease of the adjustments, the strength of the components, and the number of possible positions makes the Vulcan Prime a very versatile bench for the money. It’s only drawback doesn’t take away from any of that. 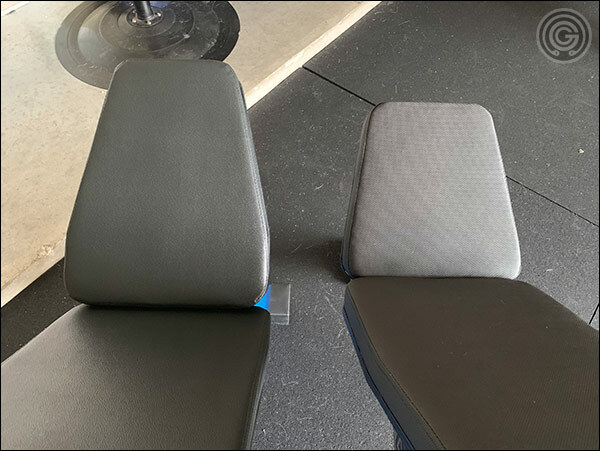 The cushioning in the Prime’s seat and back pad are of a medium firmness; somewhere in between the uber-firm pads we’re seeing lately (Rogue 2.0 and AB-5000) and what most of us probably think of as a classic bench pad. They’re of an acceptable firmness as far as I’m concerned; nothing special, but certainly nothing bad. 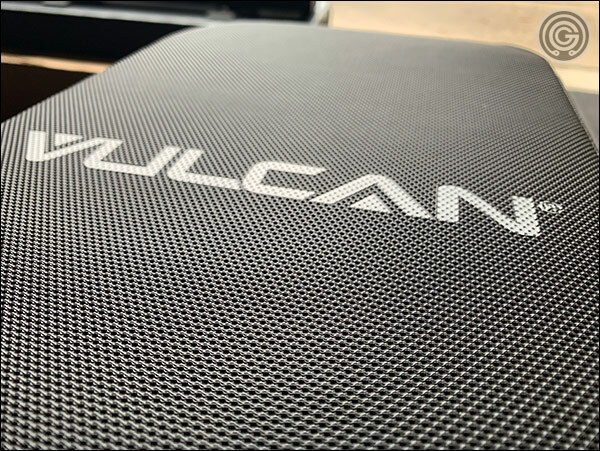 The vinyl used to cover the pads is the same type of textured, grippy vinyl found on the flat variant of the Vulcan Prime Bench. This is the same vinyl found on the FB-5000 and Rogue Thompson pads (well not exactly the same, but same idea and the same effect). I love that this bench has textured vinyl. I mean why wouldn’t you want a grippy vinyl on an incline bench as well as a flat bench? especially when one of the bench’s positions is flat! 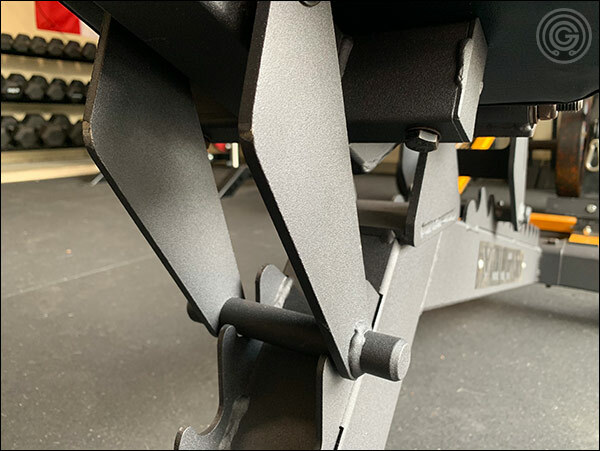 For those who would use the Vulcan Prime Adjustable as a flat utility bench, know that the gap between the back pad and the seat is only 1½”; a hint closer than what you’d normally find on an incline bench (2-3″ isn’t uncommon.) This is not the worst bench to use as a flat bench, though I’m personally not a fan of tapered pads for the bench press. The Vulcan Prime is incredibly strong. I am not at all worried about its ability to handle anything you can throw at it. 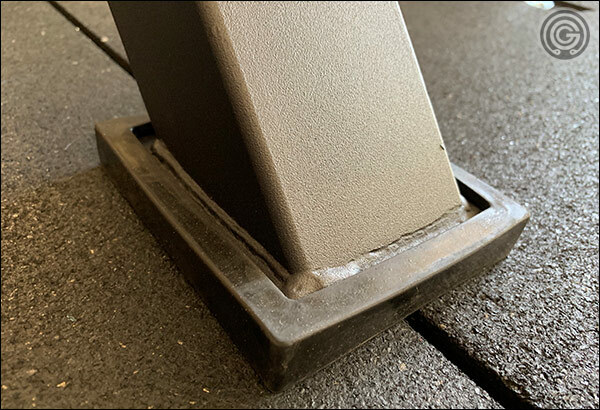 The rubber feet also help prevent sliding on concrete floors and platforms. All of the dimensions are in a good place; height, length, etc. Due to the number of back pad settings there is a large variety of positions available. This is nice for such a low-cost, adjustable bench. 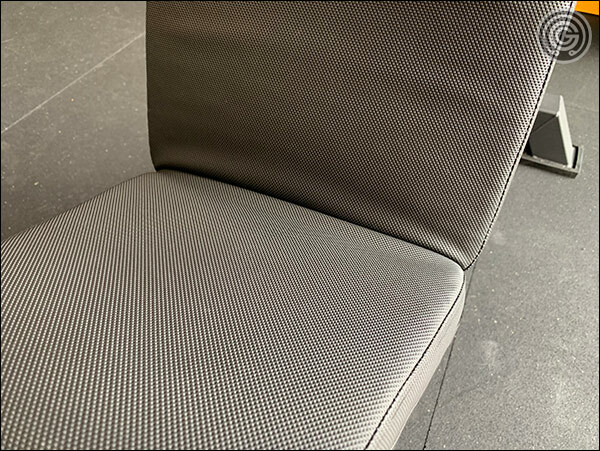 The textured vinyl is a very nice touch, especially considering how rarely it is used on adjustable benches. The seat is of a nice shape and size, and it should accommodate people of any height in the incline settings without making them feel too high off the ground. Assembly is straight-forward and takes all of 10 to 15-minutes. Tools are included, but I suggest using your own wrench and socket. The price is incredible for the build quality, strength, stability, and the variety of settings. The price; especially considering that shipping is included; is more than reasonable. Vulcan frequently has sales so you may be able to score this bench for closer to $300. The Prime actually has a pretty slick look to it. The V-shape of the frame stands out a bit in the gym. Frame warranty is forever; not that you’ll need it. I don’t care for the tapered back pad. I would prefer for that pad to remain 12″ from end to end rather than reduce down to 10″ at the top. I don’t hate it, it’s just not how I’d have done it. The two pads start to push against one another in the most vertical of settings. This isn’t really much of a problem, and it is a direct result of people demanding no gaps between the two pads when the bench is flat. Benches with ladder adjustment systems need to be moved via the handle and wheels – they cannot be picked up by the pads; even to simply re-position the bench. This can be mildly annoying considering the heaviness of this particular bench. Ladder benches cannot be stored upright as their gravity-based adjustment system only works when the bench is on the ground. As I touched on in the introduction I do not believe these two benches are really going after the same athletes. They certainly aren’t in the same price range. 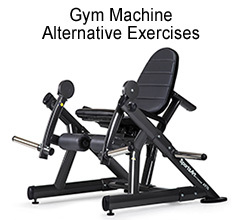 The AB-5000 is obviously going after the garage gyms market; wanting to be the sole bench in a small gym; while the Vulcan Prime was actually designed for the collegiate and military commercial market – the strength and adjustability of the Prime (along with the low price) just making it a solid option for garage gyms as well. Still, I have to discuss the AB-5000 because a) it’s just too hot right now not to not bring up, and b) there’s a good chance it will meet your needs as a garage gym owner, and the price is [currently] so low that it may be worth stretching your intended budget for. That having been said, there are still those who will be unable (or simply unwilling) to drop $500 plus shipping on an adjustable bench regardless of how good of a deal you or I find it to be. Heck there are even some very valid reasons why some folks may have no desire to own the AB-5000 at all. Let’s talk about some of those. Why would someone want a Vulcan Prime over the AB-5000? The first and most obvious answer would be that aforementioned pricing. The AB-5000 is close to $600 to your door; a great deal indeed all things considered but $600 is $600. 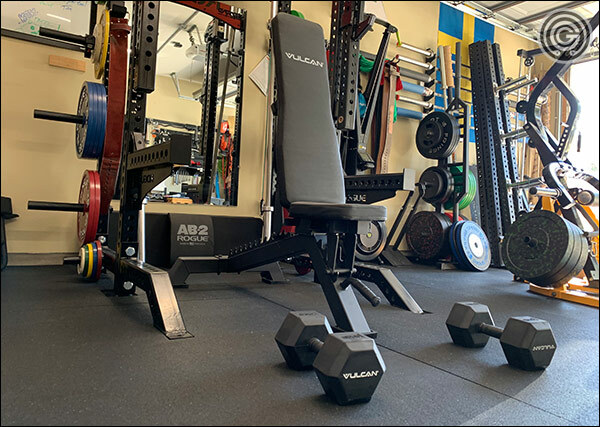 The Vulcan Prime Adjustable Bench still allows you to bench flat with a minimal gap (only 1½”), work with all the same incline settings as the AB-5000 (and then some) and all the while be doing that for about 2/3 of the cost. Another reason one may favor the Vulcan Prime Adjustable over the AB-5000 is because of their smaller stature. Simply put, the AB-5000 is a monstrosity. Not only does it have a giant seat, but because of the way the that AB-5000’s seat adjusts you will find your rump as high as 21″ off the ground when the seat is at 30-45º. This can and will result in dangling feet for shorter athletes. The AB-5000 is also incredibly heavy; weighing well over 100-pounds. It can certainly be a cumbersome bench for smaller folks to lift and move around the gym. Finally, the AB-5000 may just be too much bench for you. 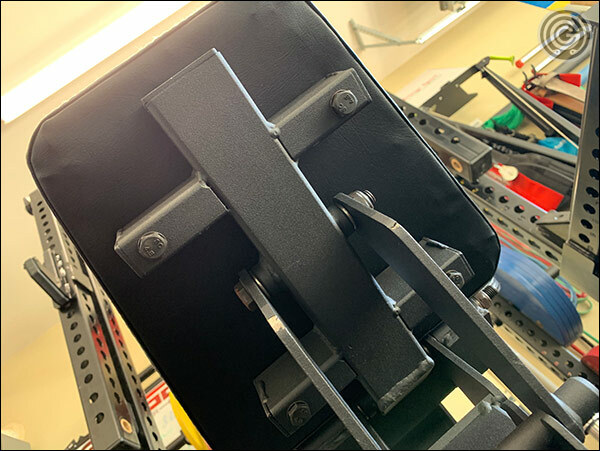 Maybe you just don’t care about a sliding seat and the Zero Gap feature because you only want an adjustable bench for the incline press and military press. Maybe you value a standard pad firmness and grippy vinyl more than a super dense, wide pad. 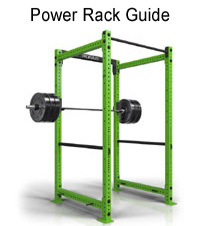 Maybe you want something more compact because of limited space in your gym. There are a number of reasons one may prefer the Vulcan over the Rep AB-5000 (and vice versa), and none of those reasons are wrong. One thing I do know, when you buy a new adjustable bench for your garage gym it probably should be one of these two benches. I’ve had a lot of benches come through here over the years; some great, some not so great, and many somewhere in between. When it comes to the Vulcan Prime Adjustable Bench I’d say its overall value falls on the higher end of “in between,” and that’s not a bad place to be. 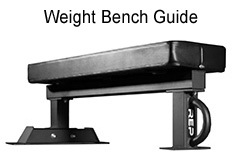 Sure you can find a more feature-heavy bench, and you can find other decent benches that hover in this same price range, but what I think makes the Prime stand out is the number of settings available, the strength of the frame, the grippy vinyl, the minimal gap when flat, and the overall stability of the bench. I can think of no other adjustable bench in this price range that can claim all of those things. The IronMaster Super Bench can’t, the AB-3000 can’t, the York ST can’t, and not a single adjustable bench on Amazon can. As a matter of fact, look at the image above. This is the $369 Vulcan Prime next to a nearly $800 shipped Legend #3103. The Legend is fairly typical of a commercial adjustable bench. It has a 3″x3″ box steel frame, rubber feet, a thick premium pad, and heavy-duty adjustment system. It’s a strong, reliable bench; no doubt about it, but how is that too different from the Vulcan Prime when it comes down to it? 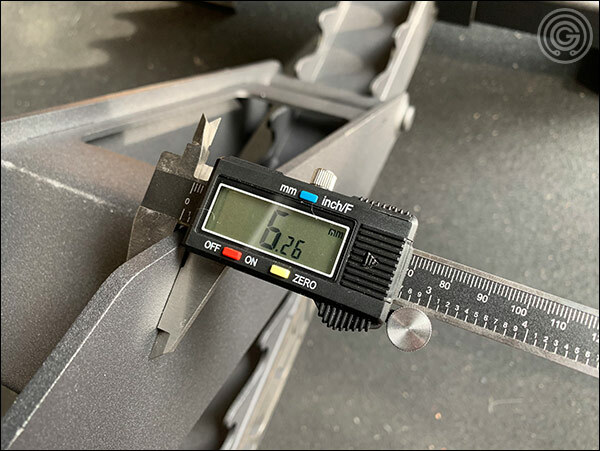 And why doesn’t a commercial bench that costs so much have more than seven pad settings, or grippy vinyl, or a less wobbly frame, or better yet a smaller gap (it’s nearly 3″)? 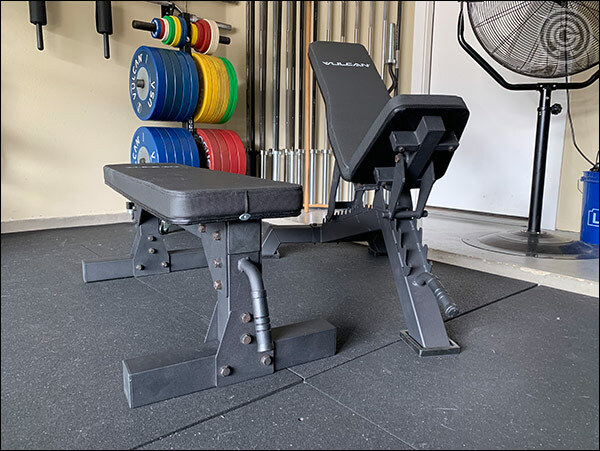 When it comes down to it, the value of the Prime Adjustable Bench is really quite high, and while you can get a bench with even more bells and whistles, I don’t think that you can get one for this kind of money. 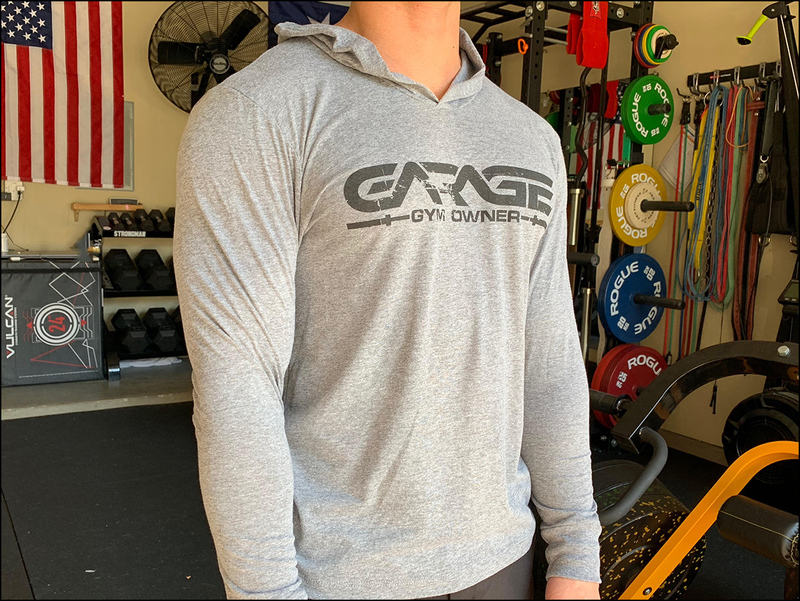 The Prime was designed to withstand the abuse of a commercial setting, so it can more than survive your garage gym. As if all that wasn’t enough, if you are patient (or lucky) enough you can even get this bench on sale in the low $300’s. Now that’s a deal! I’ll be the first to admit that the flat version of the Vulcan Prime was less than competitive in today’s market, thanks in no small part to the FB-5000, but the Prime Adjustable Bench is in a much better position. It still has stiff competition in the form of the Rep AB-5000 and even the slightly more expensive Rogue Adjustable 2.0 but the features and low pricing make the Prime an actual contender. 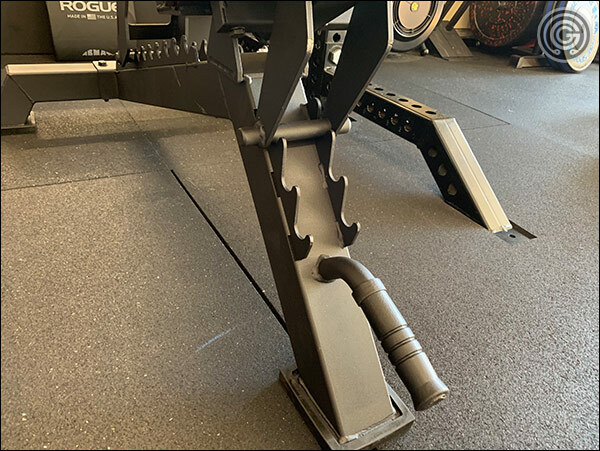 I have no problems recommending the Prime Adjustable Bench to those who don’t want to break the bank on a $500+ adjustable bench but who still want a sturdy, strong, and versatile adjustable bench in their garage gym or even commercial facility. It’s a good value and a great buy. The Prime will remain in my collection. And I noticed in the pic of the “monstrous” AB5000 its front foot oddly sticks out past the pad front which could be an annoying tripping hazard. All good points. I can’t say I disagree, though I am not all that concerned with the chipping… or the straightness of the stitching. I’ve seen that on all kinds of pads; cheap and expensive. I can only assume a real person still stitches the vinyl of bench pads, and I guess some of them need glasses haha. Surprisingly, despite everyone’s weak pad warranties, I’ve still never seen a pad come apart. The front foot of the 5000 is actually a bit in the way but it sure makes that bench really stable. 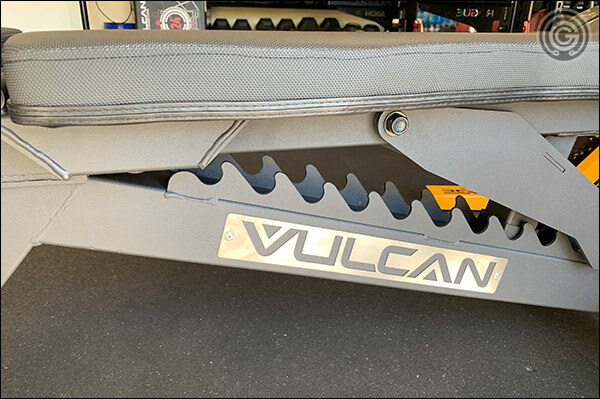 A little disappointing that you didn’t even mention the fact that the Vulcan ‘Prime’ is a poorly made knockoff of the Barbarian Warrior Multi Bench, made by ATX in Germany. The original is much better built. I’ve even pointed this out to you before your review so you were aware. Makes me wonder how biased your reviews are if you choose to ignore this fact entirely. At least give some credit to the original! Overall, not a big fan of “old school” ladder type benches, no matter how heavy the steel is. That gauge is really not necessary. 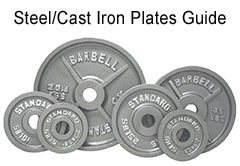 Manufacturers seem to think overly heavy is better when in reality, it’s a bit of a pain in real gym use. I’m afraid the ladder adjustment is very very old school. I’m not sure why they think otherwise. Not a fan of either of these benches. The excess steel is part of the price issue as well. Neither of these is a good deal, unless you don’t care about gym function. 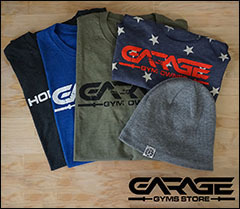 If you work out in a small Oly Gym where most of the members weigh 250-300lbs that like to abuse their equipment a bit, perhaps worth looking at. Way too much money for a bench.